This book presents select essays, lectures, newspaper articles, and other texts penned by him over the last two decades. These writings dwell on socio-political issues, freedom of expression, linguistic matters, education, oral culture, the history of Konkani, and other themes. Buy now to get limited signed copies! Goa’s best known short story writer Damodar Mauzo made headlines for an odd reason in 2018: he was provided police protection on being found on the hit-list of a suspected killer, an alleged member of an extremist organisation. Bhai Mauzo has been an outspoken voice against bigotry, bias, intolerance, and curbs on freedom of expression. This book presents select essays, lectures, newspaper articles, and other texts penned by him over the last two decades. 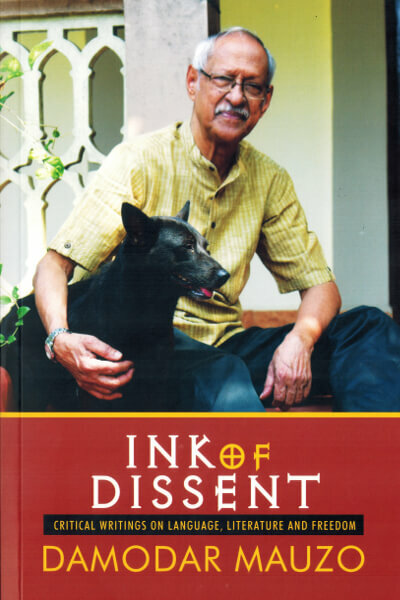 These writings dwell on socio-political issues, freedom of expression, linguistic matters, education, oral culture, the history of Konkani, and other themes. The English texts flavoured by a Konkani voice and perspective look out upon a pan-Indian landscape. Mauzo’s non-fiction writings are imbued with the same passion, honesty and delight found in his Konkani short fiction and novels. Damodar Mauzo is a fiction writer who has been writing for over three decades. He runs a business in his village but pursues his passion of writing fiction. Many of his stories have been translated into other Indian languages.